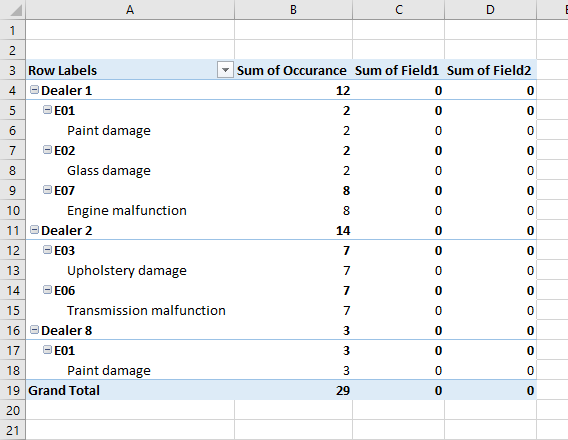 To remove the calculated field from a pivot table. 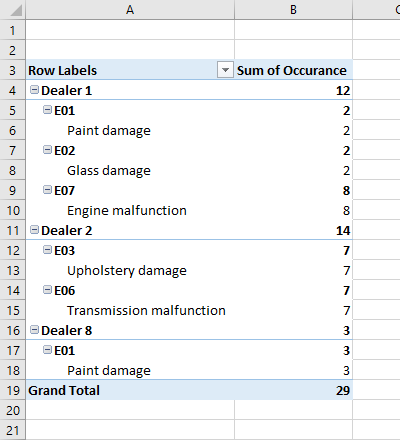 Click any cell inside the pivot table. Go to Analyze >> Calculations >> Fields, Items & Sets >> Calculated Field…. Select the field name you want to remove and click Delete. 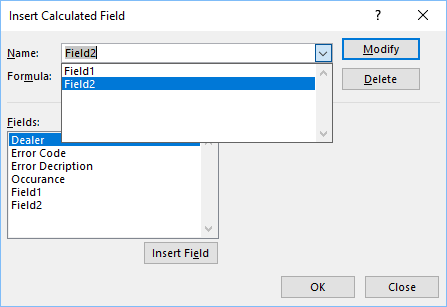 Click OK. Now, your Pivot Table doesn’t have Fields: Field1 and Field2.